Did you know that National Dog Day is on August 26th? Celebrate your beloved dog this year by incorporating fun and helpful apps that are designed to improve all aspects of your dog’s life. Take a look at our top 10 app picks for dog lovers! Considering getting a dog but don’t know what breed will fit your lifestyle? Check out Perfect Dog. This app has features that will help you sort through 340 different breeds based on activity level, grooming, living space and other important features. There is a free version of this app, but there are also in-app purchases. Training your dog should be a fun and bonding experience for you and your furry friend. This free app teaches you how to reinforce good behavior and provides instructions along the way. Learn how to teach your dog commands and tricks, and track your dog’s progress throughout the process. You can also track their weight and feeding schedule. Get connected to licensed vets and trainers for free any time of day or night with PetCoach. You can ask about symptoms, nutrition, or advice on any emergency. If you find a professional you and your pet really connect well with, you can even schedule an appointment with that particular vet or trainer. Do you enjoy going for walks, jogs or runs with your dog? Then you need to take a look at this app. Keep track of where you are, how long your walk has been, and even keep track of where your dog likes to relieve themselves. This free app can be easily used on your phone or Apple Watch® device. This app will donate funds to the animal rescue organization of your choice when you walk your dog. The amount of the donation depends on how many people actively walk for your chosen organization. You can view past walks and even post to social media to inspire others to join in. Keep yourself safe wherever you walk, or with whomever you walk with, by using this free app. This apps tracks where you are and can send notifications to loved ones if you don’t feel safe. If you find yourself in a dangerous situation, the closest dispatcher will send police in two taps of your device. Need a dog walker, sitter or overnight boarding? No problem! Install Wag, and you’ll always have access to walkers and sitters, as well as text updates, GPS tracking, pee/poo notifications, and photo report cards. Their walkers and sitters are thoroughly tested on dog handling and all services are insured. Is your dog or cat demonstrating weird symptoms? Having a place to turn to if your dog or cat suffers from injuries or illnesses is a good plan of action. Check symptoms for emergency situations your dog or cat may encounter. Learn about warning signs and first aid steps from your smart device, and even locate the closest emergency animal hospital. This free wellness-monitoring app is a great way of keeping track of your dog’s health and happiness. Pinpoint your dog’s location and heartrate, and create wellness goals for your pet. You can add other members of your family or even a dog sitter to your dog’s profile, ensuring everyone is aware of your dog’s needs. This fun and free app makes taking pictures of your dog easy for both of you by playing sounds to catch your dog’s attention while you snap the perfect picture. This app also has fun filters, stickers and quotes you can add to your dog’s perfect selfies. Dogs are our loyal companions, man’s best friend. At Experimac, we know how much you rely on your devices, so if you’ve run into issues downloading all of these great apps, stop by your local Experimac store today. We’ll help you troubleshoot your device’s issues, explain our trade-in process, or show you all of our certified pre-owned inventory. Apple computers have long been considered the safer option between PC and Apple computers, but why? Both PC and Apple computers are vulnerable to malware. However, due to the number and variety of PCs available, PCs are attacked by hackers more frequently than Apple computers. Apple computers are created, sold and updated by Apple Inc. This means they can maintain more stability and, ultimately more control, of the operating system and security of Apple computers. Apple Inc. also optimizes their operating system to function with Apple components and thus Apple computers typically crash less than other computers. Apple computers are famous for their beautiful design and offer better physical components such as nicer screens due to their high-resolution retina display. Apple computers are easier to incorporate into daily routines and anyone’s lifestyle thanks to the strengthened ties between Apple OS® software and iOS® devices such as your iPhone® device and iPad® tablet. iOS device users now have the ability to start a note or email on their iPhone device or iPad tablet, and continue working on it on their MacBook® laptop, for example, without taking additional steps to synchronize or save anything thanks to the new Hand-Off® feature. When it comes down to the integrity of the software, Apple computers come with software that is specifically designed for their products. Apple computers are considered reliable due to the incredible OS software as well as the superb customer support offered on an Apple computer. Since Apple, Inc. provides everything for the Apple computer, you are provided with a well-thought-out and all-inclusive computer experience. It is relatively easy to find cheap PCs, however, these options do not offer the quality that comes with an Apple computer. There is no such thing as a cheaply-made Apple computer. However, owning a premium Apple computer does not have to come at a premium price. Apple computers are known for their longevity thanks to their stable operating systems and quality construction, and buying a certified pre-owned Apple computer is a great option for those on a budget. With the right equipment, at a cost that will not break the bank, Experimac is happy to help you select what your office will need. Invest wisely in your new business and save money on startup costs with certified pre-owned Apple® computers from Experimac. 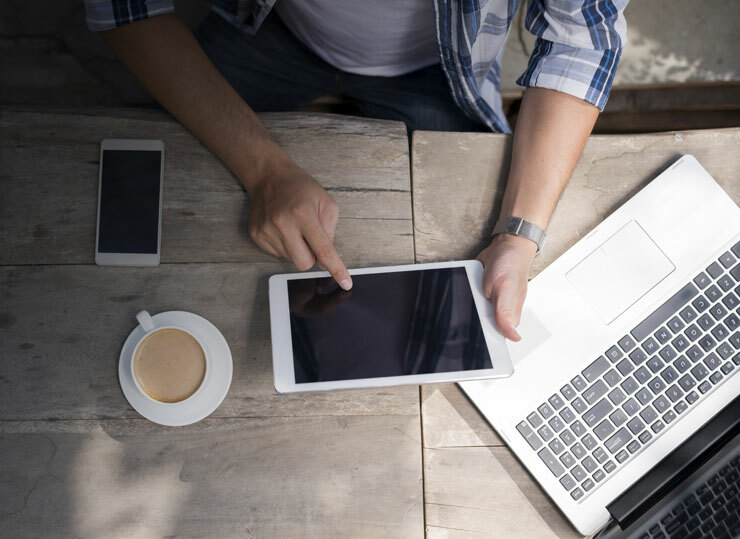 Stop by your local Experimac today to get more information on certified pre-owned Apple devices and find out which models fit the needs of your new business. You might find yourself enjoying a relaxing weekend at a friend’s pool or on a great tropical vacation one day. Keeping this in mind, the water found within lakes and rivers or even the ocean contains minerals and small grains of dirt and sand. Once your phone dries, these particles can cause more damage to your iPhone device components. Bringing it in to Experimac Winchester and letting our local experts dry and clean your phone will ensure that all these foreign particles are not a problem in the long run. Grab your iPhone device and head to Experimac Winchester; we will immediately get the ball rolling with our unique process. The sooner you bring the phone in to our location, the greater the chance that we can save your phone. This is critical because the more time passes, the more likely it is that components inside your phone may begin to corrode as a result of their exposure to water. We will assess the extent of the iPhone device’s water damage and see if there is any way that we can save your phone. Our first step is to carefully dry any excess liquid and then we gently scrub and remove any corrosion found on and inside your iPhone device. We will then remove the logic board and soak the phone in 91% or higher isopropyl alcohol for at-least 15 minutes to clean and dry it out thoroughly. This is why bringing in your iPhone device right away can make a world of difference. 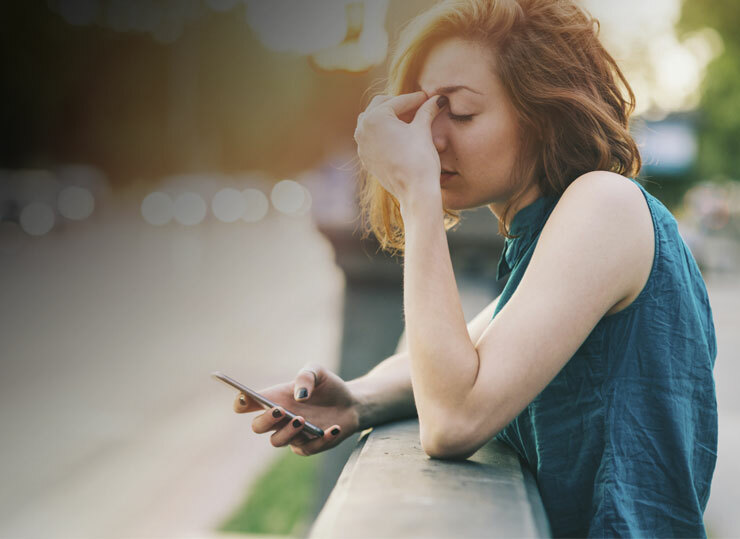 Take a moment now, while your phone is working well, to review the terms of your warranty so you’ll know what you’re entitled to if you’re ever in this situation. Water damage to your iPhone device voids your manufacturer’s warranty including any additional AppleCare® warranty coverage you may have purchased. Some third party insurance companies will cover submersion, spills, and accidental drops. If you are covered, consider filing a claim with your insurance company. Again, taking action quickly and bringing your phone in to Experimac Winchester right away can be the critical factor! So remember, when you or someone you know has the awful experience of watching their much loved iPhone go for a swim, Experimac’s local experts are here to save the day! All iPhone devices, iPad® tablets, and iPod® devices come with a built-in sound system that allows you to play music, take phone calls, or hear alerts. At some point, most portable device users will experience a sound issue such as low volume or muffled sound coming from the onboard speaker. While in most cases, this issue can be solved with some simple troubleshooting others may require repairs. The iPhone speaker (not to be confused with the receiver which is located near your ear) is used a lot. And once it is not functioning, you really start to notice how often you depend on it. If your iPhone device, iPad tablet, or iPod device is currently suffering from a speaker issue, there are a few steps you can take to troubleshoot the problem. On the side of your device is a Ring/Silent toggle. If you see orange on the toggle, your phone is set to silent. Once you toggle it to sound, check your speaker volume again. It is easy to accidentally turn your device’s volume down without realizing it. Make sure the volume on your device is turned all the way up by clicking the volume up button. Clean the headset pin with a clean cloth. Sometimes, dust particles can get lodged in the headphone pin of your device. The cloth should be clean and soft or else you could cause more damage. Make sure it’s not wet so you don’t risk getting water in the phone. It might seem crazy but sometimes sound can be coming from a second device that your device is paired with. An external speaker, Apple TV® device or computer could have synced with your device at any time without you even realizing it so turn the Bluetooth off and then attempt to use sound. If you’re still experiencing issues with your device’s speaker, contact Experimac Suwanee. Our repair experts will determine if your device has suffered from hardware damage which can be complicated to repair. Our trained staff can provide an estimate to repair the damage. If you’re still experiencing issues with your device’s speaker, contact Experimac Marietta. 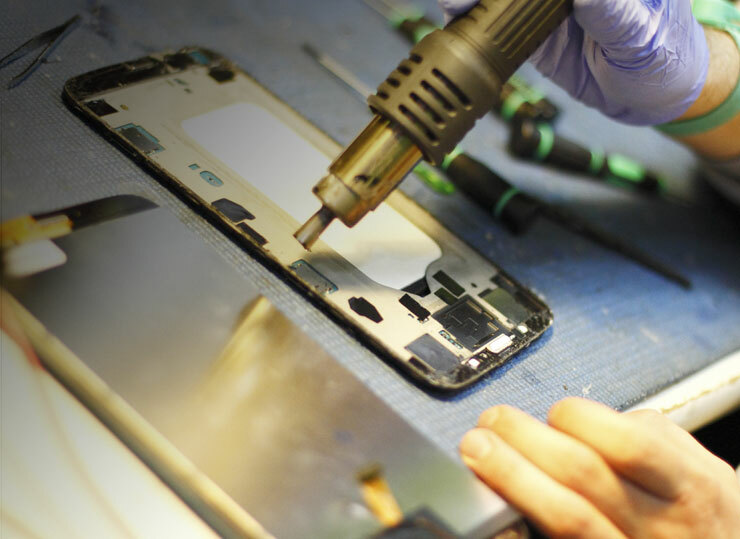 Our repair experts will determine if your device has suffered from hardware damage which can be complicated to repair. Our trained staff can provide an estimate to repair the damage. Here at Experimac San Luis Obispo, a growing retailer of pre-owned Apple products, we promise our customers the answers and attention they deserve in order to make the most educated buying decisions to satisfy their electronic needs. Tight budgets can afford our pricing, trust our warranty and benefit from the savings. We’ve all heard that knowledge is power, and the same goes for understanding reconditioned products and their value. Not everyone has extra cash to invest in a new computer, but the option is available to look into buying a reconditioned device at a lower price. Fear of the unknown is dissolved when we take the time to learn about our investments. Experimac of San Luis Obispo makes it simple for any buyer to be a smart buyer. All pre-owned apple products undergo a rigorous reconditioning process before they are marked for sale at Experimac San Luis Obispo. Each and every product you find in our stores, whether it be a Mac® computer, iPhone® device, iPod® device, Apple TV® device, accessories or iPad® tablet, works just like new and meets our high standards. If you are one of 73% of the population who own a desktop or laptop, would you be interested in browsing our large, ever-expanding stock of pre-owned Apple® products, knowing each one is carefully cleaned, thoroughly inspected, and handled with the utmost care before you see it on our shelves? Spend less and reduce the stress of your decision by reading the warranty. It never hurts to cover the “what if” scenarios before making a purchase. At Experimac, we pave the path to a risk-free purchase with our 90-day guarantee. If something breaks, we promise to repair or replace the defective part at zero cost to you! Experimac San Luis Obispo is hands down the place to go to save money on pre-owned Apple products. Stop by Experimac San Luis Obispo and see what we have to offer! Here at Experimac St. Petersburg, a growing retailer of pre-owned Apple products, we promise our customers the answers and attention they deserve in order to make the most educated buying decisions to satisfy their electronic needs. Tight budgets can afford our pricing, trust our warranty and benefit from the savings. We’ve all heard that knowledge is power, and the same goes for understanding reconditioned products and their value. Not everyone has extra cash to invest in a new computer, but the option is available to look into buying a reconditioned device at a lower price. Fear of the unknown is dissolved when we take the time to learn about our investments. Experimac of St. Petersburg makes it simple for any buyer to be a smart buyer. All used apple products undergo a rigorous reconditioning process before they are marked for sale at Experimac St. Petersburg. Each and every product you find in our stores, whether it be a Mac® computer, iPhone® device, iPod® device, Apple TV® device, accessories or iPad® tablet, works just like new and meets our high standards. If you are one of 73% of the population who own a desktop or laptop, would you be interested in browsing our large, ever-expanding stock of Experimac refurbished Apple® products, knowing each one is carefully cleaned, thoroughly inspected, and handled with the utmost care before you see it on our shelves? Spend less and reduce the stress of your decision by reading the warranty. It never hurts to cover the “what if” scenarios before making a purchase. At Experimac, we pave the path to a risk-free purchase with our 90-day guarantee. If something breaks, we promise to repair or replace the defective part at zero cost to you! Experimac St. Petersburg is hands down the place to go to save money on pre-owned Apple products. Stop by Experimac St. Petersburg and see what we have to offer! Here at Experimac Pickerington, a growing retailer of pre-owned Apple products, we promise our customers the answers and attention they deserve in order to make the most educated buying decisions to satisfy their electronic needs. Tight budgets can afford our pricing, trust our warranty and benefit from the savings. We’ve all heard that knowledge is power, and the same goes for understanding reconditioned products and their value. Not everyone has extra cash to invest in a new computer, but the option is available to look into buying a reconditioned device at a lower price. Fear of the unknown is dissolved when we take the time to learn about our investments. Experimac Pickerington makes it simple for any buyer to be a smart buyer. All pre-owned apple products undergo a rigorous reconditioning process before they are marked for sale at Experimac Pickerington. Each and every product you find in our stores, whether it be a Mac® computer, iPhone® device, iPod® device, Apple TV® device, accessories or iPad® tablet, works just like new and meets our high standards. We put every device we get through an 18 point certified functional test. If you are one of 73% of the population who own a desktop or laptop, would you be interested in browsing our large, ever-expanding stock of pre-owned Apple® products, knowing each one is carefully cleaned, thoroughly inspected, and handled with the utmost care before you see it on our shelves? Spend less and reduce the stress of your decision by reading the warranty. It never hurts to cover the “what if” scenarios before making a purchase. At Experimac, we pave the path to a risk-free purchase with our 90-day guarantee. If something breaks, we promise to repair or replace the defective part at zero cost to you! Experimac Pickerington is hands down the place to go to save money on pre-owned Apple products. Stop by Experimac Pickerington on OH 256 right next to Firehouse Subs and see what we have to offer! Here at Experimac Midlothian (13614 Hull Street Rd, next to Gold’s Gym. 804.608.0772), a growing retailer of pre-owned Apple products, we promise our customers the answers and attention they deserve in order to make the most educated buying decisions to satisfy their electronic needs. Tight budgets can afford our pricing, trust our warranty and benefit from the savings. We’ve all heard that knowledge is power, and the same goes for understanding reconditioned products and their value. Not everyone has extra cash to invest in a new computer, but the option is available to look into buying a reconditioned device at a lower price. Fear of the unknown is dissolved when we take the time to learn about our investments. Experimac Midlothian makes it simple for any buyer to be a smart buyer. All pre-owned apple products undergo a rigorous reconditioning process before they are marked for sale at Experimac Midlothian. Each and every product you find in our stores, whether it be a Mac® computer, iPhone® device, iPod® device, Apple TV® device, accessories or iPad® tablet, works just like new and meets our high standards. If you are one of 73% of the population who own a desktop or laptop, would you be interested in browsing our large, ever-expanding stock of pre-owned Apple® products, knowing each one is carefully cleaned, thoroughly inspected, and handled with the utmost care before you see it on our shelves? Spend less and reduce the stress of your decision by reading the warranty. It never hurts to cover the “what if” scenarios before making a purchase. At Experimac, we pave the path to a risk-free purchase with our 90-day guarantee. If something breaks, we promise to repair or replace the defective part at zero cost to you! Experimac Midlothian is hands down the place to go to save money on pre-owned Apple products. Stop by Experimac Midlothian, 13614 Hull Street Rd (next to Gold’s Gym), or call us at 804.608.0772 and see what we have to offer!